The typical cost for a Tummy Tuck or Abdominoplasty near Pittsburgh, Pennsylvania can range from $5,000 - $13,000. When undergoing a Tummy Tuck, there are various elements that may change the price of the procedure. There are 3 different types of tummy tucks, that are used to improve the shape of the abdomen. Depending on the complexity of the procedure, the surgical time will increase, making the anesthesia, operative room fees, and surgeons fees higher. Sometimes, more than just a tummy tuck alone will be recommended. 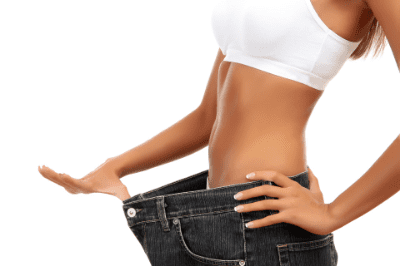 Liposuction may be added to the tummy tuck to obtain the desired outcome. -A mini-tummy tuck only addresses the bottom portion of the abdomen. -A full tummy tuck, will address the whole abdomen. -A Fleur-de-Lis tummy tuck, removes excess skin in the middle of the abdomen, giving you a T shaped scar. This is reserved for patients who have lost significant weight. For more details visit our tummy tuck overview page. Outpatient surgery centers are usually more cost effective compared to hospitals. If the surgeon owns their surgery center, they are likely to have more control of the pricing. Make sure that that facility is certified by the state or by a AAAAF. If the facility is not certified, it is unlikely that general anesthesia will be offered at this location. For a tummy tuck, this means that the actual procedure being offered is a mini tummy tuck and the abdominal muscles will not be tightened. This practice may eventually lead to an undesired outcome. -She/he will be performing a mini tummy tuck without addressing the muscles. Many surgeons are NOT plastic surgeons. The most important thing any prospective surgical patient can do is to educate themselves. This includes investigating the surgeon’s background, education and accreditation, as well as the facility where the surgery will be performed. Please confirm the surgeon IS a board certified plastic surgeon. Not being board certified prevents having privileges at hospitals and/or accredited surgical facilities. click here to see if your provider is board certified. Dr. Clavijo-Alvarez has built his plastic surgery practice by treating his patients like family. To learn more about the cost of tummy tuck (abdominoplasty) surgery, please call us at (412) 638-2391 or contact us online to schedule a consultation.